Ever noticed how we tend to put all things ‘people and culture’ in one bucket and everything else – like looking after customers, winning new business, finances and business performance – in a separate bucket. And we measure the performance of the ‘people’ and ‘business’ buckets independently, so engagement and retention metrics are important but held separate from business performance and customer metrics. But, have you ever noticed the connection? …. that the experience of our customers mirrors the experience of our people. So, what attracts our customers and markets to do business with us or keeps them away, reflects what engages and disengages our people. For many years here at Leading Well we’ve been called in to help decipher Engagement Survey results. 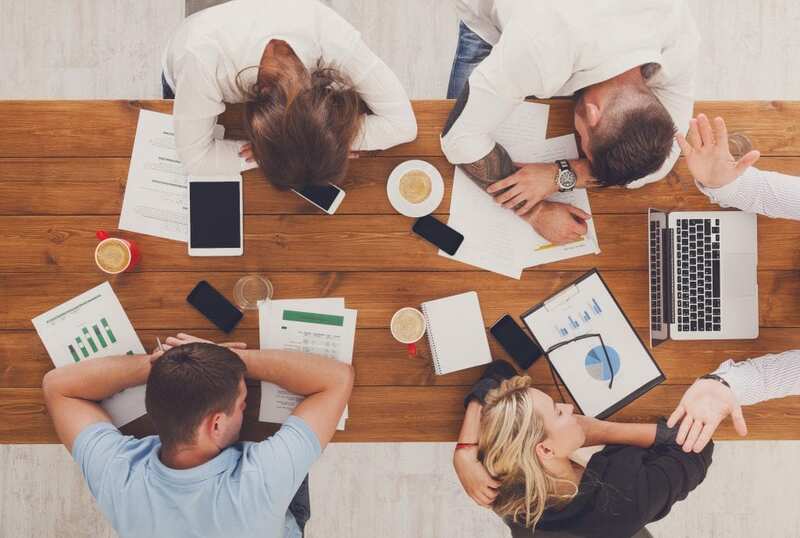 There’s often a long list of initiatives to be implemented that typically sits with People & Culture to deal with so the rest of the organisation can stay focused on running the business! And no surprises, the number one piece of feedback from many engagement surveys is the expectation that nothing will change over the next 12 months. 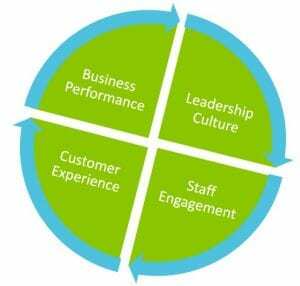 At Leading Well, we make use of a Culture Audit to help our clients re-establish the connection between People Engagement, Customer Experience and Business Performance. And we take it a step further by linking Engagement to Leadership Culture and specifically Leadership Mindset. We know from experience that an organisation can’t outperform the mindset of its leaders – so that’s our point of leverage. And the output of a Culture Audit? A maximum of 3 systemic changes that come out of the leadership team as a laser focus to shift mindset and lift performance. To be clear, the objective is not to deconstruct or transform your existing culture. It’s about finessing and calibrating what you already have – nailing your points of leverage as well as understanding where words, actions and being don’t align. So if you’re interested in the commercial AND cultural wellbeing of your organisation and a business model for sustainable peak performance and successful business performance, why not try a culture audit. Click here for more information. Culture is about mindset – not behaviour. Changing behaviour won’t get you there – changing mindset will. Mindset starts with leadership mindset. Your organisational culture can’t develop beyond the capacity of your leadership mindset. Throw out your 100-point Engagement Action plan and embark on a 3-point Culture Audit plan.